In the last two centuries Jewish thought has had to respond to dramatic events and transformations: the emergence of Jews into open societies, secularisation, assimilation and anti-semitism, the Holocaust and the State of Israel. These developments tested to the limits the continuity of Judaism. It seemed as if to embrace modernity was to abandon tradition; to preserve tradition was to reject modernity. 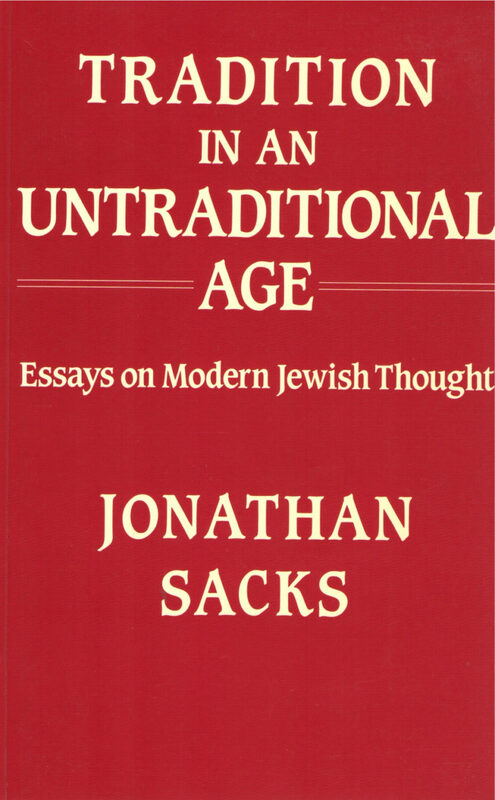 Tradition in an Untraditional Age explores these challenges through a study of the work of four great Jewish thinkers: Rabbis Samsaon Raphael Hirsch, Moses Sofer, Abraham Isaac Kook and Joseph Soloveitchik. It includes studies of the Holocaust, Jewish-Christian dialogue, Jewish economic ethics and religious alienation and return. It also sets out an agenda for future Jewish thought.